Privacy & Terms | ED Woods Lumber Co.
One hundred percent deposit is required for in-stock products. Fifty percent deposit required to initiate custom orders. Any legal expenses incurred by E. D. Woods Lumber Co. in an effort to be paid for wood products, will be charged and collected from the involved customer. Final payment of custom products is required to ship. Unpaid balances shall bear interest at one per cent per month (12% per annual ). All estimate prices are subject to change at today’s quote, depending on availability and difficulty in retrieving antique and specialty products. Invoices should be read carefully to assure that the product, amount, size, and any other information are correct. All estimates include a minimum of 10% wastage. EDW is not responsible for installation resulting in greater than 10% wastage. 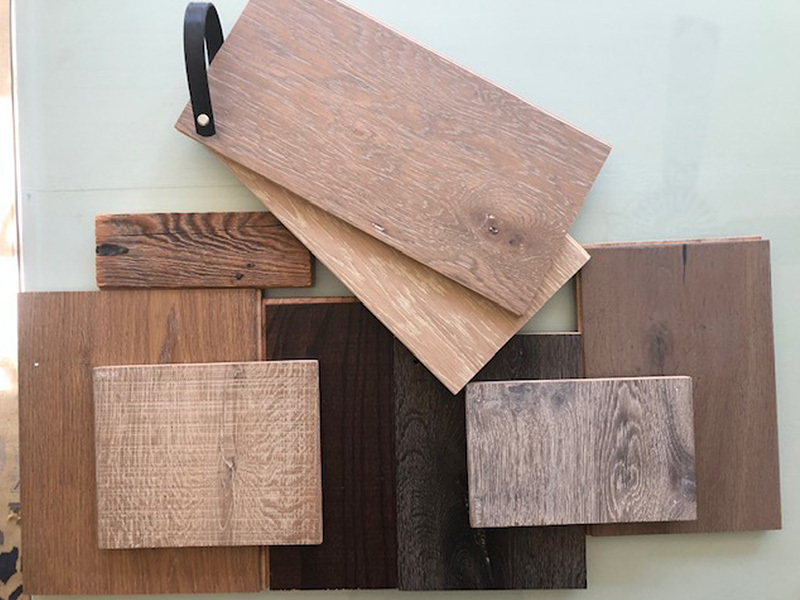 EDW will exchange up to 6 boards of antique and specialty woods considered un-useable by the customer if desired boards are available. We are always willing to discuss larger amounts that the customer deems un-useable. Keep in mind that we are dealing with a product of nature where every board and wood species is different and what one individual prefers, another may find objectionable. Inventory of all materials and acceptance signature is required by the customer or customer representative on site, upon pick-up or delivery. Acceptance signature signifies product is quality and quantity ordered. E. D. Woods Lumber Company is no longer responsible for the product once it is on site or delivered to end user. Any change in the purchase order after labor and materials have been expended, will result in a comparable charge. At a minimum, a 2 week turn around time is required for quality milling of flooring and other wood products. For In-house stock or pre-milled blanks, turn around time can be minimized to one day for stock and 2 weeks or less for blanks. E.D. WOODS LUMBER CO. is not responsible for delays created beyond their control. Weather, shipping, mechanical break- down, and manpower can delay any milling or delivery process. E. D. WOODS LUMBER COMPANY does not approve shipping or delivery of wood products on rainy or wet weather. Prices do not include installation or finishing (with the exception of prefinished products). EDW is not an installation company and is not responsible for problems created by the installer. To the best of our ability, EDW is always willing to participate in discussing and recommending solutions for any problems created by installation of flooring. E. D. WOODS LUMBER COMPANY will be glad to participate in helping the customer to choose wood products that fit the customer’s budget, wants and needs. The final decision for all products will be the responsibility of the customer. All flooring must be acclimated in a secured setting with functioning central heat or air, depending on the seasonal needs. Acclimation period must be no less than a two week period. All sales are final. If invoice with initial payment, are accepted and wood products are milled, the wood product is considered purchased and final payment is due. E.D. Woods is not responsible or liable for undisclosed information concerning any product received from other companies. The customer must respond to the original or primary salvage or manufacturing source of the product for any negative or legal claims. 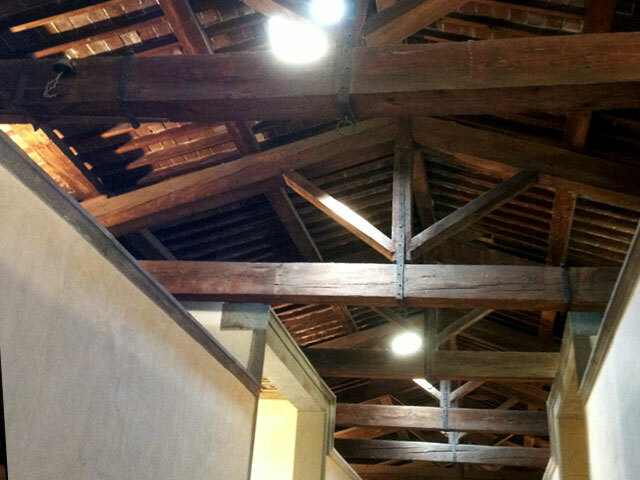 E. D. Woods Lumber will participate to the best of their ability to be sure the sources and products are reliable. It is our desire to satisfy the customer. 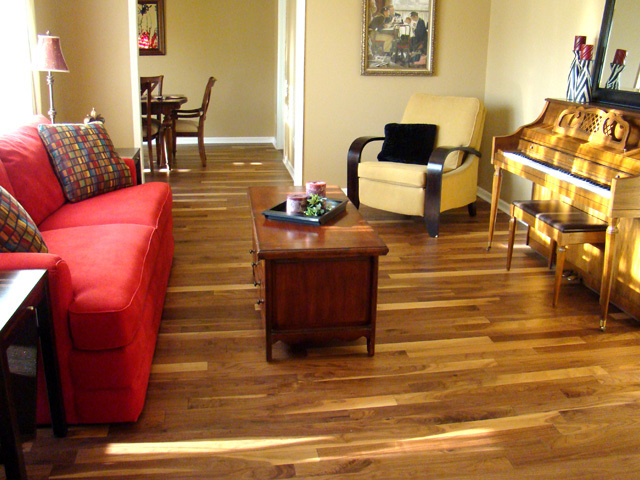 For best quality results, all wood products must be installed by an experienced floor installer. It is the responsibility of the customer to determine if the installer has liability coverage and is qualified to install hardwood flooring..
A good installer knows not to install faulty boards. Therefore the installer should be reminded that EDW will replace faulty boards if notified promptly and before installing or altering of the product. It is the responsibility of the customer to determine if the installer is bonded or has liability coverage. The purchaser shall not rely upon any oral representation, not specific, and included herein. When the builder or customer is receiving wood products shipped by a common carrier or other sources, it is imperative that the builder or customer inspect the product before accepting the delivery. Once the product is received from the carrier, the carrier will take no responsibility for any damages or missing material that may have occurred during the transportation of the product. ARBITRATION CLAUSE: Any case or controversy arising among or between the parties hereto, this Agreement or the subject matter herein, shall be resolved by arbitration in the State of Alabama under the then prevailing rules of the American Arbitration Association. The decision of the arbitrators shall be final and binding and the prevailing party shall be entitled to recover all reasonable attorney fees and costs.